Free single serve pop secret popcorn with No size restriction coupon! Coupon valid on any size! 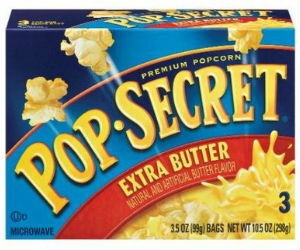 Print a coupon to save $1.00 off any ONE (1) Pop-Secret popcorn item. This rare coupon does not have size restrictions, so look for the single bags at stores such as CVS or Dollar Tree where they sell for $1. You'll get the single bag for free after the coupon!